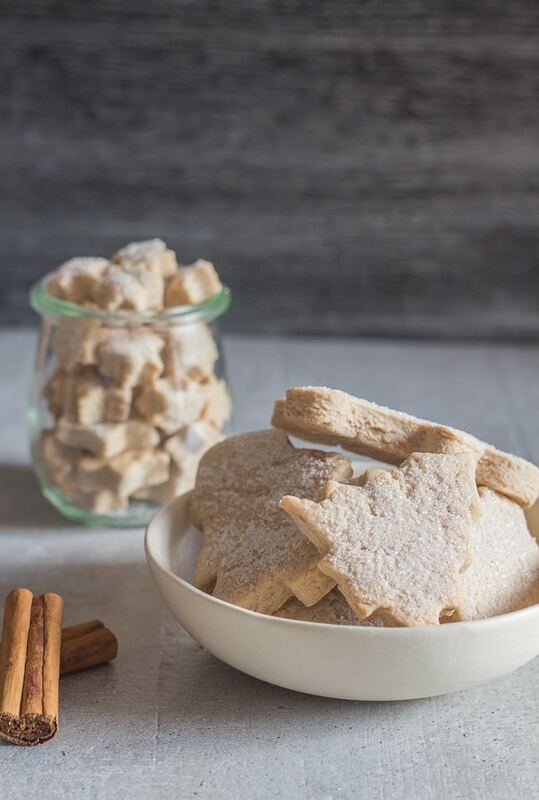 Crunchy Cinnamon Sugar Cookies are the perfect Fall Cookie, thick and crispy with the perfect balance of Brown Sugar and Cinnamon. Sweet and Delicious. 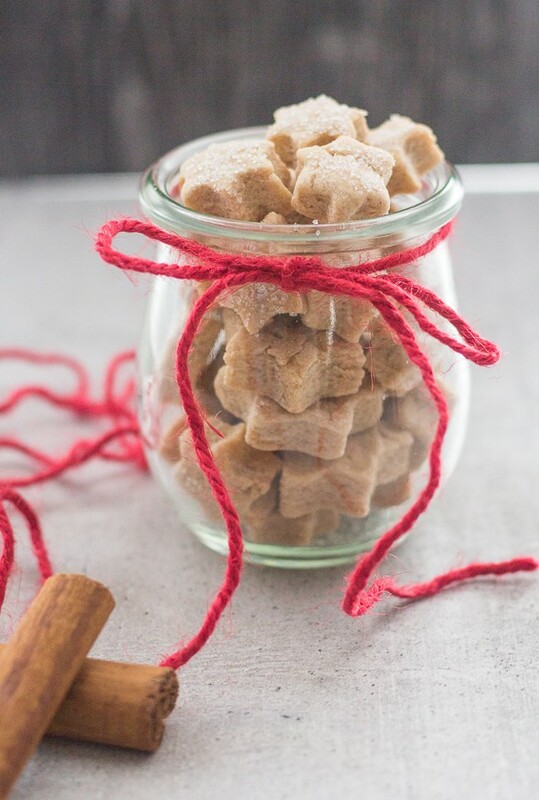 As they say a change is good as a rest and sometimes the same old sugar cookie can be a bit boring, so adding a little cinnamon and brown sugar makes them amazing. I love cookie cutters, I have bags of them, some from my Mom and some I picked up here and there. The ones I used in this Cinnamon Cookie I bought in Canada. They were so Fallish and were screaming my name, so how could I resist? Since I decided to redo this post because these cookies are so good I thought this time I would use my Christmas Cookie Cutters, and how about those mini stars, so cute eh? 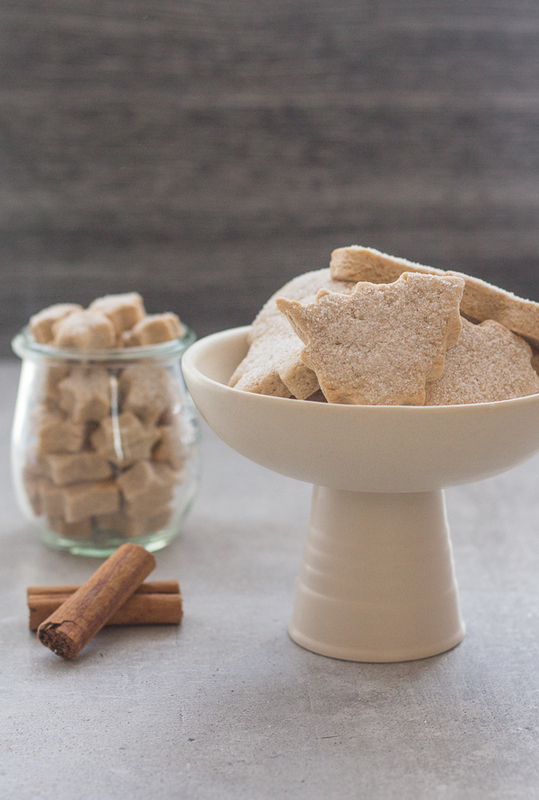 Another thing I (we) couldn’t resist were these thick and Crunchy Cinnamon Sugar Cookies. I love thick cookies! From Peanut Butter Cookies, to Chocolate Chip Cookies to even yeah I make my Shortbread thick too! Sometimes I hear the Italian whispering, “well, these are pretty thick”! Of course after he has eaten his third or fourth. 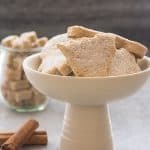 These Cinnamon Sugar Cookies were very simple to make and the dough doesn’t even need refrigeration. Just make it and bake it. Oh and that amazing Cinnamon aroma is the best. It’s all about Autumn, don’t you think? I beat together the butter and sugar and then beat in the egg, after that I added the flour mixture and I mixed it all together with a fork, since it is too thick to beat. 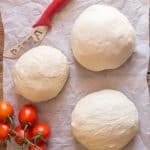 I Dumped it on a lightly floured flat surface and kneaded it gently for a couple of minutes until it all came together. I rolled it out to about 1/4 inch thickness, probably a little less and then I started getting creative with my cookie cutters. I baked them for about 15 minutes and as soon as I removed them from the oven I sprinkled a little sugar on top of each cookie. 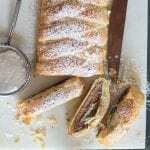 More Cinnamon Desserts you may enjoy! I let them cool and then we dived right in. Nothing like a the perfect Fall Cookie! 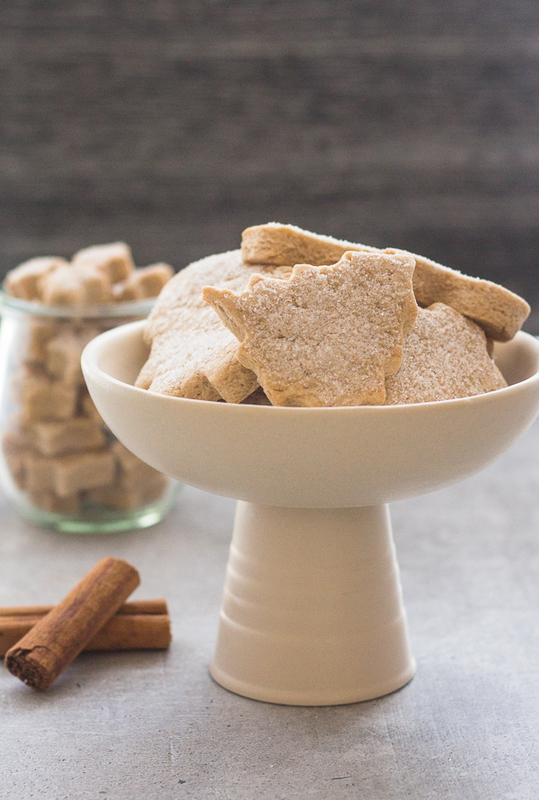 And these Crunchy Cinnamon Sugar Cookies are just that! Perfect with a cup of tea. Enjoy! The perfect dessert or snack treat. Brown sugar and cinnamon make the Best Cookies! Pre-heat oven to 350° (180° celsius). Cover cookie sheets with Parchment Paper. 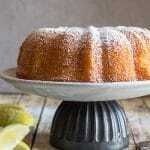 In a medium bowl whisk together flour, corn starch, cinnamon and salt. In a medium bowl beat sugars and butter until creamy, add egg, beat well, add flour mixture and mix with a fork. 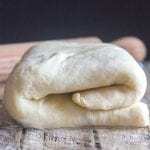 Empty onto a lightly floured flat surface and gently knead to form a dough. 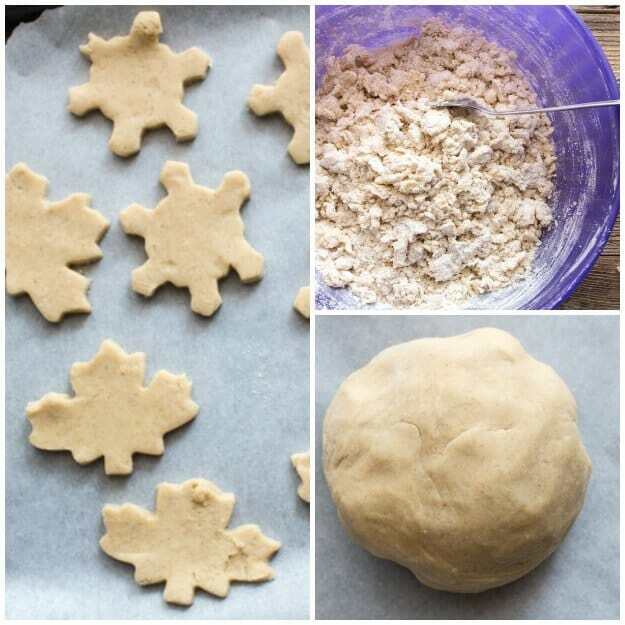 Roll into approximately 1/4 inch or less (1/2 centimeter) thickness and cut out with cookie cutters. Place on prepared cookie sheets and bake for approximately 15 minutes. Remove from oven and sprinkle with sugar. Let cool. Enjoy! Re published from October 2016. I love thick cookies too! 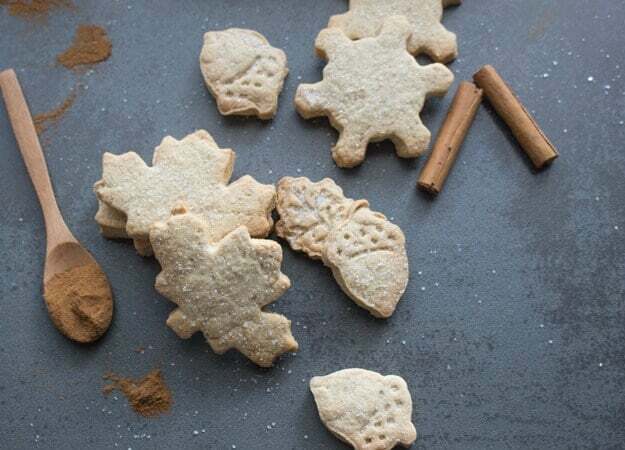 These look especially delicious, and so perfect for Fall. Super cute cutters too! I love the taste of cinnamon! I can’t wait to get home and do some serious cooking 🙂 Thanks for sharing. Hi Marisa, I love it too, can’t wait to see what you make when you get home! Have a great weekend.